Analyst calls Apple's decline in services revenue growth last quarter "temporary"
With sales of the Apple iPhone apparent waning, Apple is looking to its services division to help keep the company growing. Apple is focused on growing revenue in this category from 2017's $30 billion to $50 billion by 2020. In an interview yesterday with CNBC's Jim Cramer, Apple CEO Tim Cook said that for the calendar year of 2018, Apple had $41 billion in such revenue. Analysts expects Apple to announce that it set a new quarterly record of $10.8 billion for Services gross during the recently ended fiscal first quarter. The results from this period, which ran from October through December, should be released the first week of next month. While Apple is counting on its services business for future growth, during the company's fiscal fourth quarter (which included July through September 2018), this category saw revenue grow 18.3%, a lower rate of growth than the 25% growth (minus one-time items) that the services division delivered during the fiscal third quarter. The division includes Apple Music, Apple Care+, Apple Pay and the App Store. Morgan Stanley analyst Katy Huberty, according to Bloomberg, is still bullish on Apple's Services business, calling the decline in services growth "temporary in nature." Huberty adds that as much as $425 million of the $600 million shortfall in services revenue Apple experienced in the fiscal fourth quarter was related to AppleCare+. This is Apple's in-house extended warranty offering for its devices. It adds a second year to the original warranty and covers accidental damage to iPhone and iPad units. Huberty told clients in a note that the decline in AppleCare+ revenue was due to lower iPhone sales. 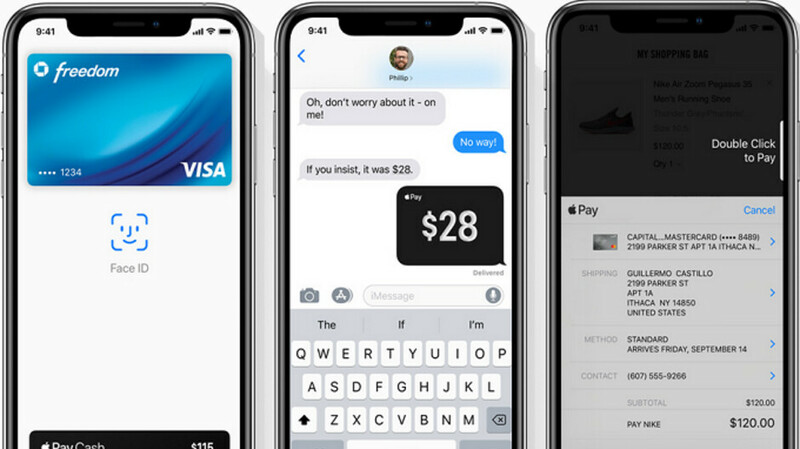 The cost of the service runs as high as $199 for the iPhone X, iPhone XS and iPhone XS Max. Huberty's note helped Apple's shares rally for a second straight day. The stock closed Wednesday's regular trading session at $153.31, up 1.7% on the day. Everything bad is temporary when it comes to Apple. Don't panic guys, don't stop buying iPhones or iPads. The cult can't continue without your unwavering support (monetarily only, they don't care about the other crap). Lets see what the next quarter brings, another decline and its a race to $0 per stock for Apple. It's getting hard to filter out actual phone articles from all the tabloid, CB, analyst gossip. Especially in the past week. Analysts are hoping to boost Apple stock prices in an attempt to regain some of what was lost when the stock plummeted. Odds are their investment firms have lost a fair amount of money in the process. The thing is that if sales keep going down, services revenue won't see substantial growth either, as the two are irrevocably linked. Tim Cook has been doing the same thing, trying to restore faith in Apple stock knowing full well that if the sales at the very least don't go down much further, their services may see small growth. Even Tim Cook however knows that if the sales do go down more, which is the expectation, it'll put strain on the services as well. Less sales, means less iPhone revenue, means less services revenue from specific services, means less profit. When Apple's CEO says they wanna focus more on their services in the future, it means they expect sales to go down substantially further. Of course it is temporary, however i dont see 2019 ís Apple year, this might drag all the way to 2020. As long as trade war and price tag high, Apple will have tough time grow. China is aggressive. Apple is not. I don't know what are you prefer to an I'm not interesting getting in political debate it, US do this and China do that etc. All I know is that Apple is greed and she's just trying to satisfy hungry shareholder want unlimited grow. That's better than losing another 1.7%. Just give us a more compelling iPhone Apple, and vastly revamp iOS with 13, and stocks creep back up. People are just bored with iPhones, and now know a simple battery swap restores performance to their throttled ones. Think McFly...think. I hear you Jedii, but if you think about it the overall user experience for iOS really doesn’t create limitations on Apple buyers. We bloggers have this unique way of thinking to help provide a better way of creating user experience, but to the entire world they could care less about customization and some of the limitations that we Pro users experience within iOS. I hear you, but people will continue to buy iPads and iPhones due to the unique user experience that they are getting now. But think if they did. It could, and probably would make the user experience that much better. The pro users could care less about customization (my windows is just like when I installed it, I just changed the wallpaper and used a black tone) and all my apps are with the standard themes (I just chose dark ones when they are available); as for the limitations, there’s nothing I need to do with a phone and I can’t with the iPhone. "The pro users could care less about customization (my windows is just like when I installed it, I just changed the wallpaper and used a black tone) and all my apps are with the standard themes " Exactly same here and almost everyone else too, just like people who buy android phones very few have any tweaks in their phones. Speak for yourself. I customized the shizzle out of my phone and computers. I’m sure there are a lot of people that do, I just don’t know manny (and I have worked with lots of it guys); the most they do is install Nova and that’s about it - the majority I mean, because I know one that tunes the s**t out of his car, house, gadget he gets. Sorry forgot to put a :) at the end as it wasn't meant as a very serious remark :) Most IT people I know (and I know a lot of them), don't customize at all, mostly because they use iPhones. Most Android users I know that customize a little, are not at all tech savvy. $41 Billion in just services last year is just incredible. Apple Services is another company within itself. What I want to see is does this service grow because battery replacement, and what percent of that over all service? Their services been growing every year already without battery replacement, and going to grow this year too without battery replacement program. Services growing because install base is growing. Apple is getting more users in their ecosystem which means more money for them. For example appstore had record holiday week and single record day in new years day thanks to all new iPhone users after christmas. 200$ for a 2y AppleCare+ is an excellent price, I pay 216€ and that’s without the theft. These so called analysts can say everything, probably paid by fruit company to boost up sales or stock price. I can also analyze and say no fruit company shares will decline!